Learn 4 methods to easily make your own ice cream sandwiches at home using homemade or store-bought ingredients. Sample Peachy Keen ice cream sandwiches. 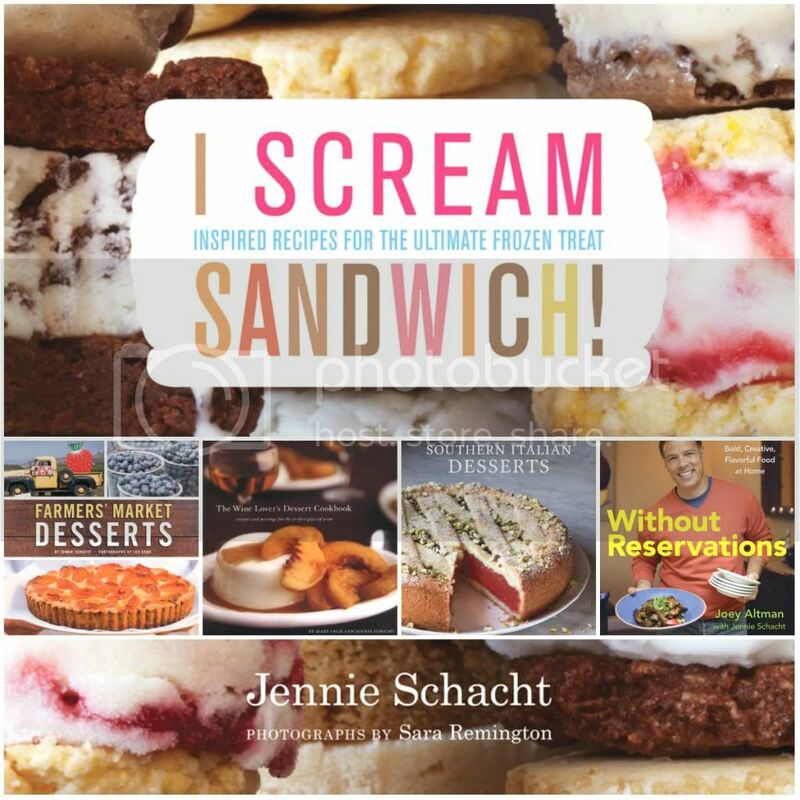 And pick up autographed copies of i scream SANDWICH!, as well as Jennie’s other books, Farmers’ Market Desserts and The Wine Lover’s Dessert Cookbook. Come hear stories about writing i scream SANDWICH!, speak with the author, and purchase autographed copies of the book, as well as her other books, Farmers’ Market Desserts and The Wine Lover’s Dessert Cookbook. Makers & Tasters Series: Celebrate National Ice Cream Sandwich Day! At this Makers & Tasters event as part of Fridays at OMCA, come view a demo and unlock the secrets to great ice cream sandwiches. 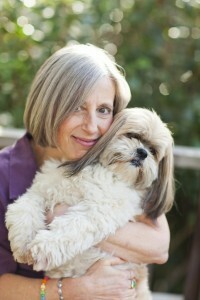 Taste samples, get your questions answered by the author, and get your autographed books. Then enjoy dinner from a collection of Oakland food trucks from Off the Grid, soft and adult beverages, music, and a festive atmosphere for celebrating National Ice Cream Sandwich Day! Talk, sandwiching demonstration, Q&A with the author, extended tasting with sandwiches from the book made by Ginger Elizabeth. Includes one autographed copy of the book. Advance ticket required (link to follow). Organized by Tasty Books, Sacramento. Sweet Celebration at Sweet Bar Bakery! We’ll be celebrating the book with ice cream sandwich bites and more! And of course books, books, books. Father’s Day book signing and ice cream sandwich sampling! I’ll be there with i scream SANDWICH!, as well as Farmers’ Market Desserts and The Wine Lover’s Dessert Cookbook. Author signing and ice cream sandwich sampling! with ice cream sandwiches made by fabulous Bi-Rite Creamery! Book signing and ice cream sandwich sampling! Opening Day at Lafayette Farmers’ Market! Book signing and ice cream sandwich sampling. Mother’s Day Party Book Signing Extravaganza and Spring Jazz Stroll! Find something special for mom at NATHAN & CO while sipping sparkling wine, listening to live music, and sampling sumptuous ice cream sandwiches! I’ll be there signing books, answering your questions about how to make the best ice cream sandwiches, and handing out treats. Tuesday, May 7, 2013: LAUNCH DAY! i scream SANDWICH! debuts at Bakers Dozen SF! Join me as I prepare a dessert from Farmers’ Market Desserts and share secrets of baking from the winter farmers’ market. Ring in the winter holidays with cheer on this first evening of December. Stock up on books at the store, and roam the neighborhood listening to children’s choirs and more. Treats in store, of course. I’ll be welcoming the lovely gift and housewares store NATHAN & CO to their new Rockridge home on College Ave, across from Market Hall and Rockridge BART. I hear sparkling libations are in store, and I’ll be baking up batches of Chocolate Cherry Chunk Cookies, while store staff crank up their ovens for other treats from Farmers’ Market Desserts. Bring your gift list to stock up on personalized, autographed books and other fun things from the store. Shop the sale at beautifully curated CAPERS Home while sampling treats from Farmers’ Market Desserts. Pick up a copy of the book, then head over to the West Seattle Farmers’ Market to pick up all the produce you need to make your favorite recipes. If you are in Seattle please stop by this singularly fabulous book store to say hello, sample some treats, and get your personalized, autographed copy of Farmers’ Market Desserts! Harvest Festival and Pie Contest! Bring your pie to the big tent by 10am and stay for the market and Harvest Festival. I’ll be on the pie judging panel, then signing copies of Farmers’ Market Desserts after. Rumor has it copied of FMD go to the top three entries. Hope to see you there! I had such a great time at this wonderful book shop last year I’ll be making a return appearance. The folks at the store will be baking up summer treats from Farmers’ Market Desserts and so will I. Stop by to taste and get inspired, then head over to the Danville Farmers’ Market with your autographed book to stock up on everything you need to keep busy with desserts all weekend. Thanks to Michael Barnard and the folks at Rakestraw Books for hosting! Get your autographed copy of farmers’ market desserts and pick up all the fixin’s to make your own Easy Chocolate Cherry Cupcakes with fresh cherries. Come stop by for a mini cupcake courtesy of fab baker and shop owner Jennifer Sandstrom! Join Jennie to learn some great desserts from the market to carry you through the winter months! These desserts can actually help you to peel away excess holiday pounds by focusing on market produce rather than sugar and fat. Book available for purchase in class. Bring your holiday gift list and get ready for one-stop holiday shopping with Bay Area cookbook authors at Diesel Bookstore’s Chronicle Books Cookbook Extravaganza featuring Tom Hudgens (The Commonsense Kitchen), Jennie Schacht (Farmers’ Market Desserts), Vanessa Barrington (D.I.Y. Delicious), and Amy Treadwell (Whoopie Pies). Sample treats, chat with authors, and take home the right book for everyone on your list. Sunday, November 21, 9am-1pm or until the books sell out! Farmers’ Market Desserts at my “home” market! Come taste samples from the book and get sweet ideas for Thanksgiving and all of your holiday events. Plus, bring your shopping list for one-stop holiday shopping! FMD at Pleasanton’s Magical Holiday Evening! Stop by Pleasanton’s “Magical Holiday Evening” to enjoy samples, chat with the author, and get your autographed holiday books! Join Jennie on a panel along with fellow cookbook authors Andrew Swallow of Mixt, Andrea Nguyen of Asian Dumplings, and Christine Hanna of The Winemaker Cooks for a lively discussion about how to invigorate your menu options throughout the holiday season. The panel will be moderated by the Marcia Gagliardi, intrepid author of The Tablehopper’s Guide to Dining and Drinking in San Francisco. Expect samples and recipes, as well. Saturday, October 30, 9:00am until the books sell out! Grand Opening of the new Farmers’ Market at Marin Country Mart! Bonus: I will also have the hard-to-find Wine Lover’s Dessert Cookbook there! I will be on the Kitchen On Fire Chef’s Stage at 11:15am cooking up a seasonal dessert sensation from Farmers’ Market Desserts. What will it be? Caramel Apple Crisp Sundaes (special bonus recipe- not in the book! ), Fruit & Nut Chocolate Bark with Fleur de Sel? Lavender Walnut Sandies? 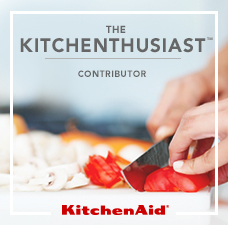 Come find out, learn, and taste! Airs in Chico, the Sacramento Valley, the foothills, and beyond! Farmers’ Market Desserts Launch Party!